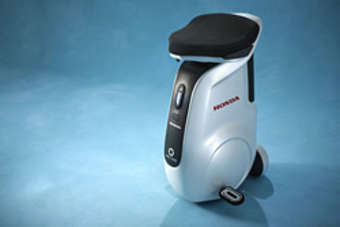 Honda thinks it might have found itself another new revenue stream: personal mobility devices. The UNI-CUB, which the company has just unveiled in Japan as a working prototype, could soon be the right product at the right time. Vehicle sales might be booming just now but that's due to government incentives designed to reverse last year's collapse, so the market is expected to resume its long term decline later this year. In short, Japan has minimal immigration and is greying at a far quicker rate than equivalent rich countries, while people have been having fewer children for decades. The interesting thing about the video which demonstrates the UNI-CUB is the absence of what seems the obvious target audience: the less mobile and by implication, a large percentage of older people.